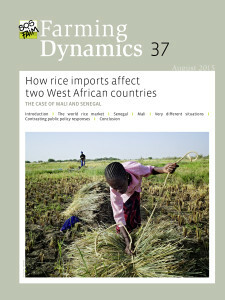 How rice import affect two West African countries? Mali and Senegal are two West African rice producing countries. For both countries rice is considered a strategic food stuff. The extent to which each depends on imported rice, however, is fundamentally different. While Senegal imports a large proportion of its consumption, despite a political agenda designed to achieve very fast (2017) self-sufficiency, on average, Mali covers over 90% of its needs. Given these different contexts, does imported rice affect the local context in the same way? And do the measures that are required to promote local production differ?